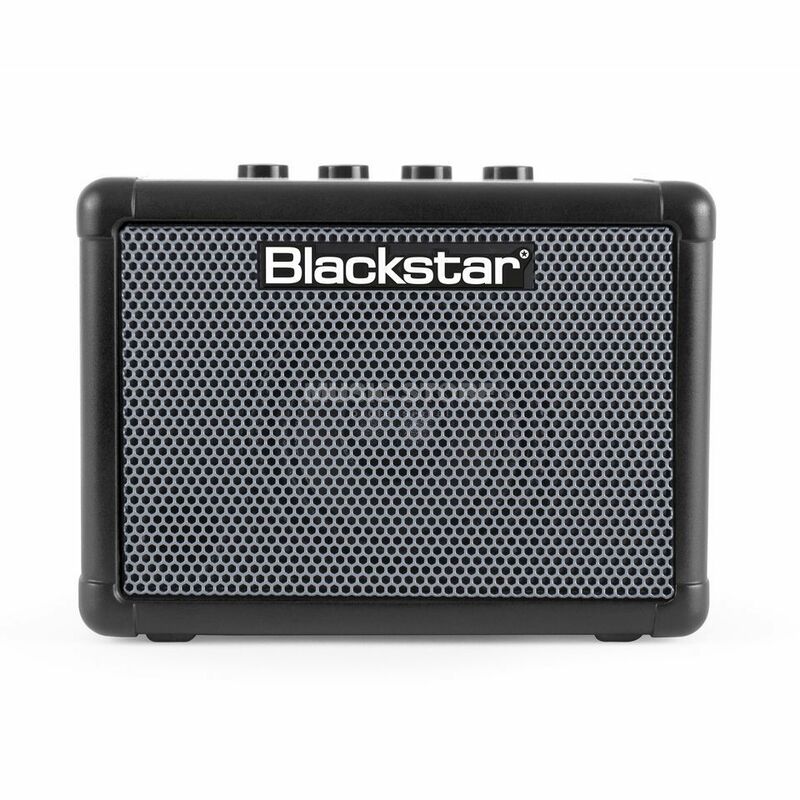 The Blackstar Mini-Fly is a small bass amplifier. This mini bass amp by Blackstar, produces a huge sound for it's size. It has a three-watt output and a 3 "speaker which provide sufficient volume for practicing at home or in another small location. The Sub-harmonic generator sends astonishing deep bass warmth. The analogue bass amp has a switchable overdrive and an integrated compressor built-in to ensure diversity of sounds. A line input is also provided so you can plug in your MP3 player and jam along as well as a headphone output for quiet practices. The Blackstar Mini-Fly Bass amplifier can be powered by six AA batteries and is ideal for bassists on the move.